Kobe Bryant is widely acclaimed as one of the greatest basketball players of all-time. A career filled with accolades, he won five Championships in the NBA and was an 18-time NBA All-Star. He currently holds the record for most seasons played with one franchise for an entire career. Bryant made his mark on the game of basketball and left a strong imprint after playing in the league for 20 years. 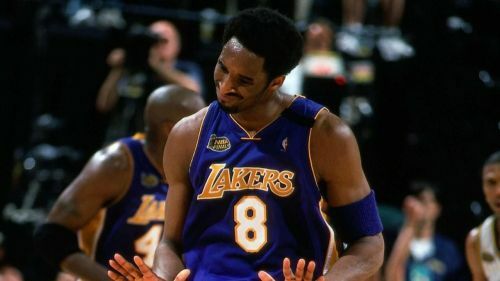 Kobe was known for his mental toughness and killed the opposition teams at will. With the game on the line, he never shied away from taking the final-shot and always delivered in clutch situations. The 'Black Mamba' played in front of sell-out crowds for two decades and entertained the fans all over the world with his talent. He always played the game of basketball with utmost sincerity without taking it for granted and had an insatiable hunger for Championships. The 2-time NBA Finals MVP made it to the finals, seven times in his career and won it all five times. Kobe gave the fans and the entire NBA fraternity, numerous memories on the NBA's grandest stage. Through the course of this article, we look at five legendary performances of Kobe Bryant in NBA Finals. In the 2000 NBA Finals, the Lakers defended their home court successfully winning the first two games and were on road looking to steal one. The Pacers defeated the Lakers in Game 3 in an emphatic fashion and were aiming to win Game 4. However, Kobe and the team had other plans. Kobe Bryant who missed most of the Game 2 and entire Game 3 with a sprained ankle was back for Game 4. The Pacers started well and had a 10 point lead at the end of the first quarter. However, things changed slowly and Kobe Bryant put on a show scoring 28 points on a 14 of 27 shooting with a field-goal percentage of 51.9. He also pulled down 4 rebounds and 5 assists. This was a very well fought game that went into overtime. In the overtime, Kobe Bryant took control and scored effortlessly to give a crucial win on the road for the Lakers. Shaquille O'Neal too had a monster performance and dropped 36 points and grabbed 21 boards. Bryant used his court vision to perfection in this game and put on a clinic. The 5-time NBA champion received high praise for carrying the team on his back after Shaq got fouled out. With Lakers up by one and 5.9 seconds remaining in the overtime, Kobe Bryant put a dagger in the hearts of the Pacers' fans with a reverse-layup putback. The Lakers went on to win this game, 120-118 and jumped out to an early 3-1 lead in the series. They dominated the Pacers throughout the series and went on to win the Championship in six games.